At our April meeting Byron Machin gave a fascinating glimpse of the many wild orchid species to be found (if you know where to look!) in the Peak District. 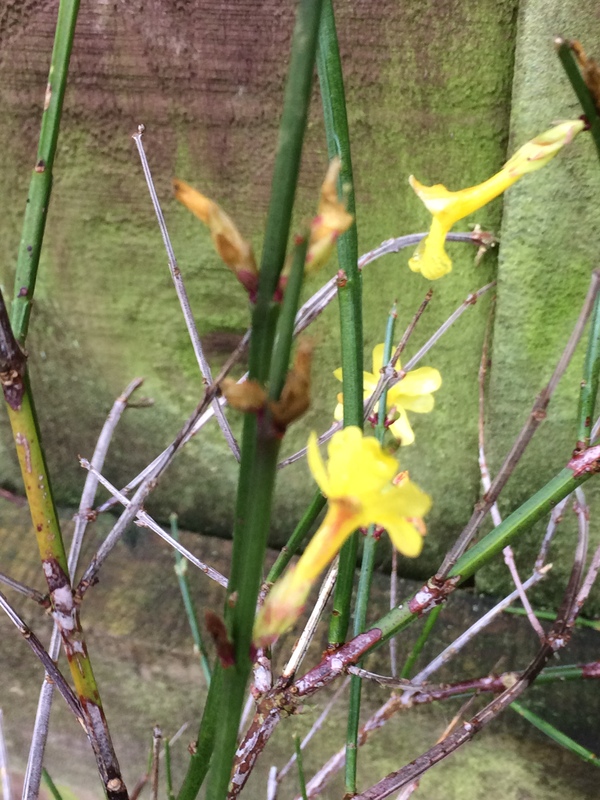 The result of nearly ten years of research his talk briefly looked at the physiology of native orchids – as this is one reason for their rarity – before discussing in more detail the species to be found in various habitats month by month through the year. Many published floras (there are ones for both Staffordshire and Derbyshire as well as more general ones) will have distribution maps showing 1km squares where orchids have been seen but, as Byron pointed out, firstly a 1km square is quite a large area and the fact that an orchid was seen there one year does not guarantee it will still be there the next. Climate change, changes in land use and tourism all have an effect on plant distribution. In readiness for our Plant Sale next month a great many plants were available on our members sale table this month – this was taken at the end of the meeting after many plants had already been purchased. Richard Rallings from Mynd Hardy Plants gave us a glimpse of the history of walled gardens from ancient Persia to the modern day and explained how they worked and why and how their use changed over the centuries. He also brought some of the plants from the Nursery to tempt us into spending our money (it wasn’t difficult!). 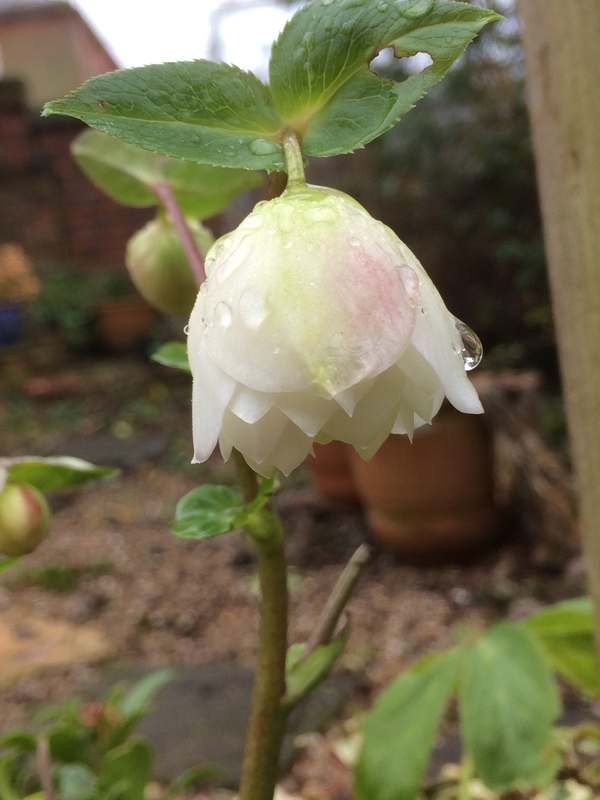 This month Mike Byford from Hazlescroft Nursery came to talk about Hellebores. A fascinating talk that took us through the ancestry of our garden Hellebores and discussed where the various original wild species grow and what this tells us about the conditions we should try to provide in our gardens (not what we might have thought). He also brought some of his Hellebores for sale. On our own plant sale table we had some kits to grow oyster mushrooms on a loo roll – cue much bemusement as to why Helen was selling loo rolls that evening, but many were persuaded to buy a kit and have a go. It will be interesting to hear the results. 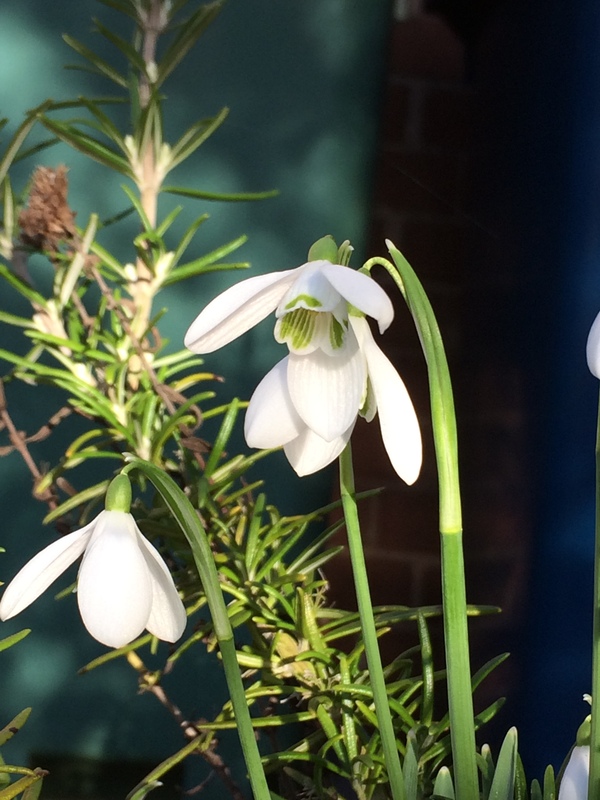 Time to go on Snowdrop walks – whether round your own garden or someone else’s. 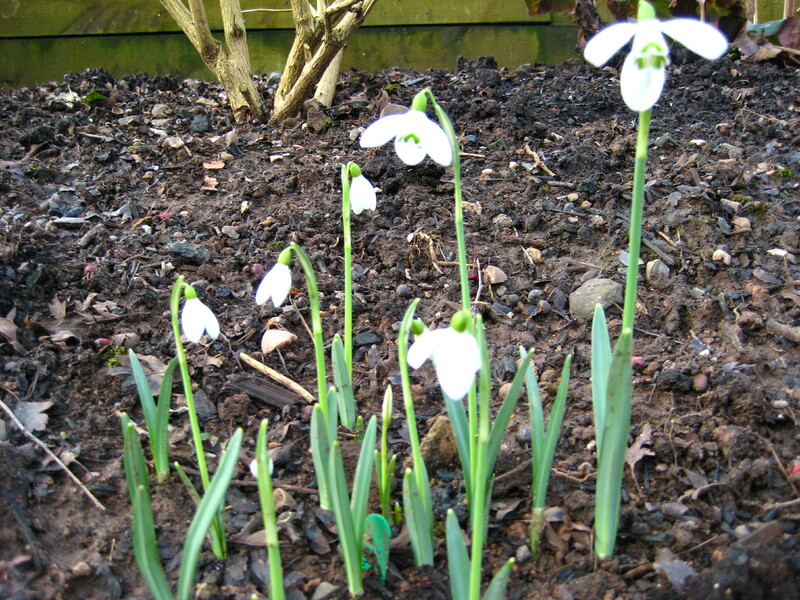 Have a look at the NGS website for gardens open this month. 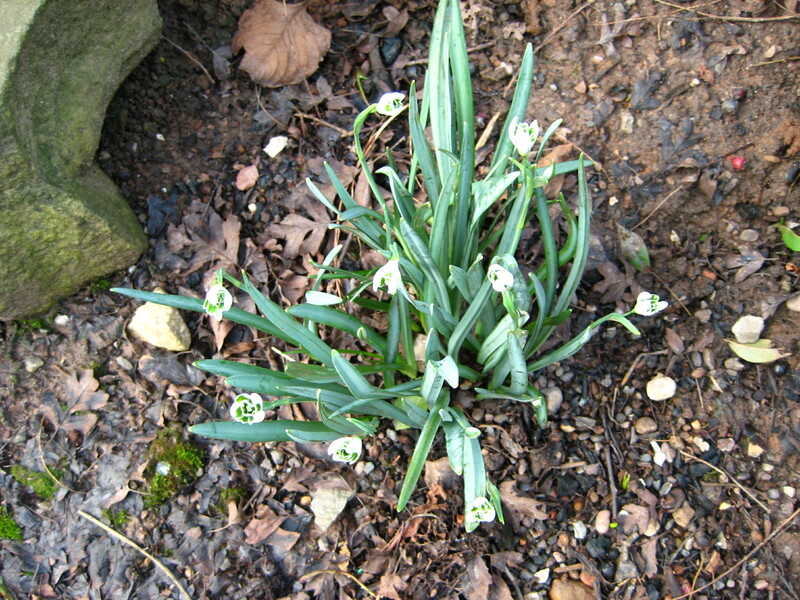 Jackie has sent us some photos of her snowdrops and and an Iris just coming into flower. Our first meeting of the year and, after the AGM, David Emley kindly stepped in at (almost) the last minute to talk to us about watching wildlife in Staffordshire. In an absolutely fascinating talk he emphasised how fortunate we are in the UK and in Staffordshire that naturalists have been recording our weather and wildlife for generations. This means we are able to map the changes in distribution and population of various species of plants, birds and insects – many of which have changed quite drastically within the last 20 years. The atlases shown in the slide show below date from the 1970s and are now seriously out of date with regard to many species – Himalayan Balsam to name but one. The change in distribution of the Collared Dove was another example – unknown in the UK when this list of British birds was published in 1952, twenty years later it is shown as becoming established across much of the UK, although largely still in the east. Now, it is one of the commonest birds in our towns (along with the wood pigeon – both driving us mad with their incessant calling), while populations of the Turtle Dove have plummeted. There are many different reasons for these changes (not all down to climate change, although that does carry a lot of the blame) and David discussed these with us with many more illustrations. It was a talk we all felt we could happily listen to again . . and again! Barbara has been on holiday to Singapore and has sent us this photo of a chrysanthemum taken in the Botanic Gardens there – along with a photo of the board beside it explaining all. Is she sending us a challenge?! Stan Griffin and Vickie Newman from Craig House Cacti, West Bromwich gave us an entertaining and very informative talk on cacti and succulents in November. We now have no excuse for knowing the difference between them and our plants should be a lot healthier and happier as we learnt how to look after them properly. There was a good selection of plants to buy and you just had to admire the waistcoat and jacket they were wearing! Our sale of Gardenalia in October proved very popular again as lots of members cleared out the ‘junk’ from their sheds and offered it for others to buy – those elusive and powerful loppers, lots of large pots or lots of small pots, surplus seed trays, assorted garden tools (there seemed to be a lot of hoes and rakes this year!) as well as bird boxes and bird tables. We also had a well-stocked plant sale table. Our thanks to all who brought items for sale as well as to those who spent their pennies (and pounds). Unsold stock will be donated to Oak Tree Farm and Stone in Bloom. The 32nd Annual Chrysanthemum and Dahlia Society Show was held on September 15th. Martin Robinson took some photos early on Saturday morning as competitors were arriving and setting up – illustrating just how much care and thought goes into each exhibit. And we also have a few photos from the Show itself after the judging had taken place. Somewhat belatedly we have received some photos from the London weekend back in June. Dr Steve Reynolds came on July 12th to talk us through some of the pests and diseases we could find on our plants. It was a fascinating evening discussing the whys and wherefores of plant responses to stress and to disease. Several members brought in their sickly specimens for a diagnosis after the talk as well. We also had our usual (and popular) plant sales table – keeping all sickly plants well away! 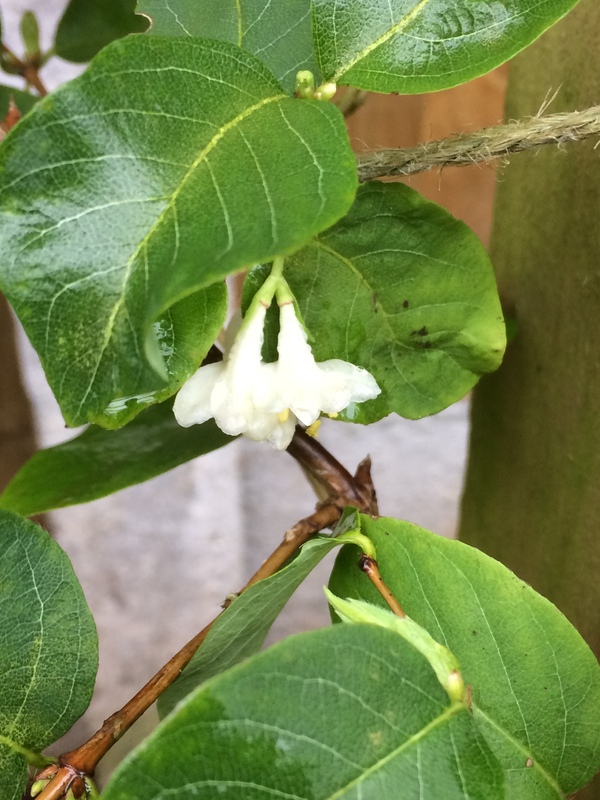 On May 12th Dr Michael Jones took us to the Gambia to view their flowering plants. 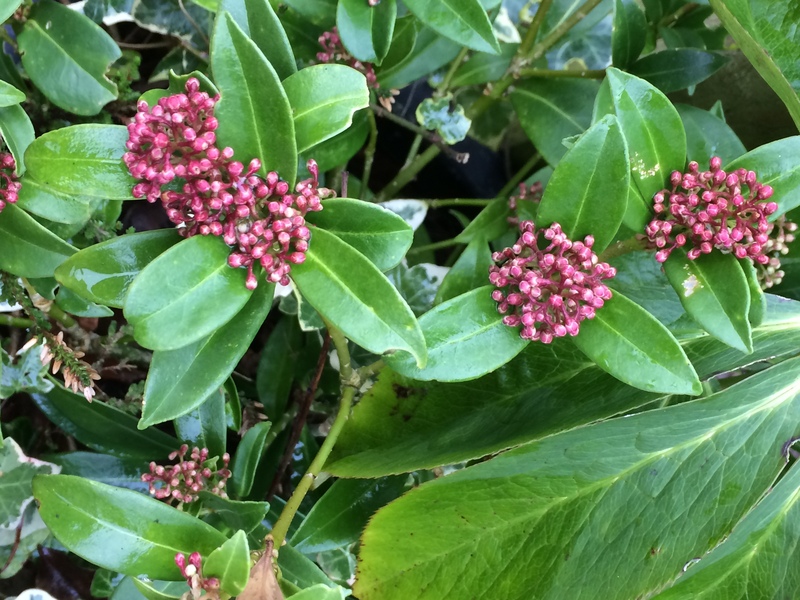 A fascinating botanical trip – even the ‘weeds’ were wonderful! Our plant sale table was full at the beginning of the evening with lots of lovely bargains. Our Plant Sale on May 5th this year was a great success – the photos show the Hall before the public arrived to help clear the tables. This time of year sees many gardens hosting ‘Tulip Festivals’. 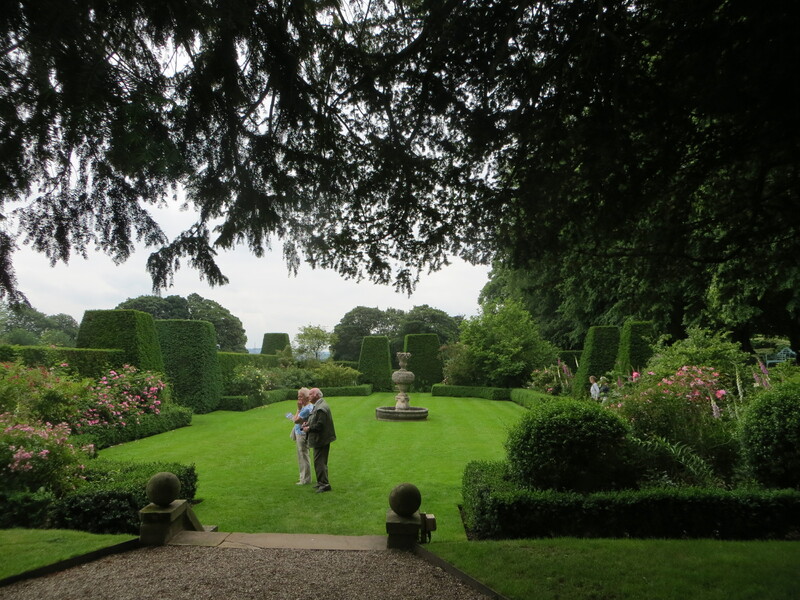 One such at Pashley Manor Gardens in East Sussex was visited by one of our members. Bloms had provided the bulbs and catalogue and it was possible to visit them in the marquee for advice and to place orders (and, yes, squirrels do bite the heads off tulips and eat them!). It’s not too late to find a festival nearer to home or even an NGS garden with wonderful displays this Bank Holiday weekend. Our first trip of the year (on 21st April) was fairly local – to Middleport Pottery (home of the Pottery Throwdown) for a quick visit and a bite of lunch by the canal, or in the cafe, and then on the the main event of the day – a trip around the grounds of Keele University to view their collection of flowering cherries. This was followed by a cream tea at Whitmore tearooms. We were very lucky with the weather – it was a beautiful, warm and sunny day so quite a few members donned their walking boots and sunhats to join the tour around Keele, where we were given lists of the cherries (which had obliged by flowering in time) and a map to follow, although our tour was guided as well. Our April meeting featured an entertaining and informative talk and slide show by Brian Ellis as he discussed some of his favourite plants from his nursery. A handout listing all the plant names helped enormously with any scribbled notes we felt inspired to make! He also brought a selection of plants for sale on the night; our Members’ sale table was also emptied out by the end of the evening. In March (thankfully the snow had mostly gone) Kevin Pratt travelled down from Stockport to talk about the private gardens he had worked in around Cheshire. He now runs a small nursery – Village Plants – and brought along a few for us to buy – which, of course, we did. There were also a few plants for sale on our Members’ Sales Table and some good raffle prizes to be won. Despite the weather plenty of people braved the rain and sleet and ice so, following a talk from Robert Barton about Well Dressings, especially those of Endon, we held our usual Christmas get-together. Plenty of food was on offer, festive tables to share, with the opportunity to chat with friends old and new, and of course the Raffle – which (unsurprisingly) proved very popular this month. Our November ‘Gardenalia’ sales table proved a great hit this month with many members having a clear-out of their sheds and bookshelves while others took the opportunity to acquire much needed items at a bargain price. As you can see from the photos a wide range of ‘gardenalia’ – from plant pots to spades via books, lamps and fertilisers – made it to the sales table. A number of dahlia tubers were also on offer. Rob Potterton and his wife, from Pottertons Nursery and Garden, came to talk to us on October 12th about alpine plants and bulbs – from field to market, bringing with them a table full of bulbs for sale and one or two extra plants (not to mention the pre-talk orders they had received). It was fascinating to hear of Rob’s experiences seed collecting with the Alpine Society in China many years ago and how the seeds and plants collected were propagated and grown on by the various botanical gardens and specialist nurseries once they were back in the UK. He also explained how they propagate their own plants to raise enough for sale each year. Our first talk of the Auntumn was a highly entertaining look at Plants of the Season by Paul Green of Greens Leaves Nursery. A whole van load of plants arrived as illustrations in place of the usual slides and there was quite a scramble to buy them after the talk – a much smaller van load made its way back to Gloucestershire. In addition news of the proposed weekend trip to London in June was displayed on the noticeboard. Summer holiday photos – a ‘Dahlia Maze’ at the Villa Taranta Botanical Garden, Verbania, Italy. Church Cottage in Aston opened its garden in the middle of August under the NGS and several of us went for a look around. They had some wonderful displays of dahlias around the garden – among many other interesting plants and areas. 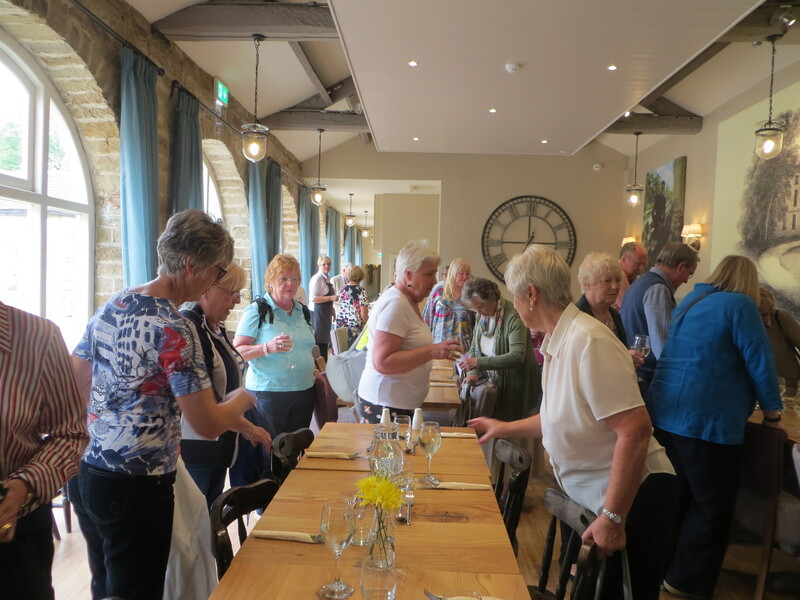 On July 27th a coach full of members enjoyed a trip to Middleton Hall and to Burrows Garden at Brailsford where they had tea and cake before setting off for home. July is also the month for the RHS show at Tatton Park. Here are a few photos from chrysanthemum and dahlia displays found there. Unfortunately Jessica Pannett was unable to come to our meeting in July so at very short notice Judy Hubble stepped in to talk about the history of Shugborough Hall with many ‘behind the scenes’ photos of the Hall and a brief talk about how (and why) the landscape around the Hall changed from Medieval times to the present day. At our meeting in June Jack Swann give us a slide show of trees and shrubs – he took us through the alphabet and around the world. June saw the first RHS show at Chatsworth. One of our group managed to go on Members Day and took a few photos. May is also Chelsea month and one of our members was lucky enough to be able to go this year. She has sent us the following photos of some of the dahlia and chrysanthemum displays. 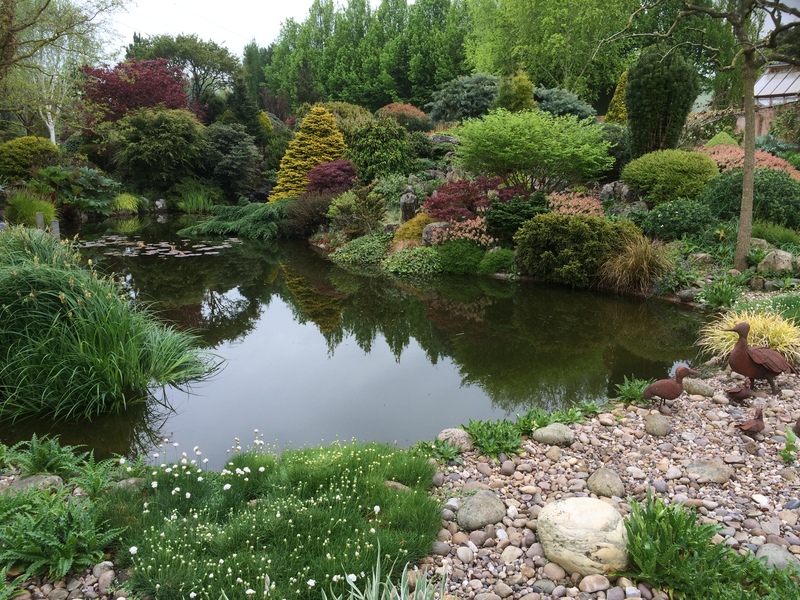 Some photos from our trip to WildegooseNursery on May 25th. We were given a tour of the garden by Jack Willgoss. The walled garden is in process of being reclaimed from a wilderness by Jack and his wife Laura. It was very much a family affair as Mum was serving in the tearoom and Dad was selling the plants, whilst Jack’s wife Laura was still in hospital having produced twin girls on Monday! The 1830s curved glasshouse has been restored with the help of grants from the Heritage Lottery Fund, Country Houses Foundation and the Millichope Estate. All followed by tea and cake! Our May Plant Sale was a great hit as usual with lots of plants from members available to buy. The following photos show the Hall being set up ready for the rush . .
Gordon Malt gave a talk on Salvias in April, bringing with him a collection of plants (not just Salvias) for us to buy – there was quite a rush at the end of the talk! There were more plants on the members’ sale table too – reflecting the busy time many had had taking and nurturing their cuttings. 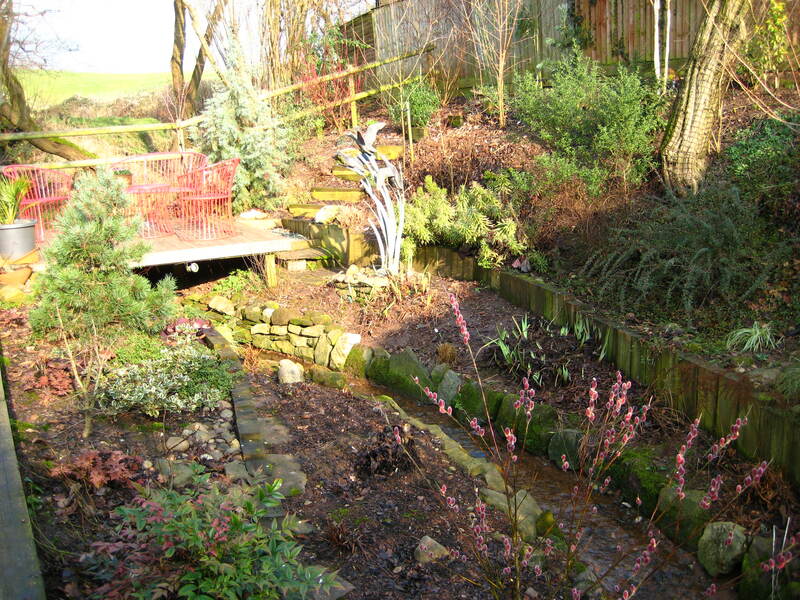 In March Jane Allison from Mayfield Plants in Middlewich gave a talk on garden design using three gardens in the south of England as an illustration. She brought some plants along from her nursery to sell, and we had our usual Members’ Sale Table. Our 2017 February meeting was a talk given by Samantha Hopes entitled ‘Winter in Bloom’. Samantha demonstrated through her slides how it was possible to have flowers and colour in the garden from October to April – from Rudbeckias to tulips via snowdrops and honeysuckle. 2016 was the 30th Anniversary of the Stone Chrysanthemum and Dahlia Society. 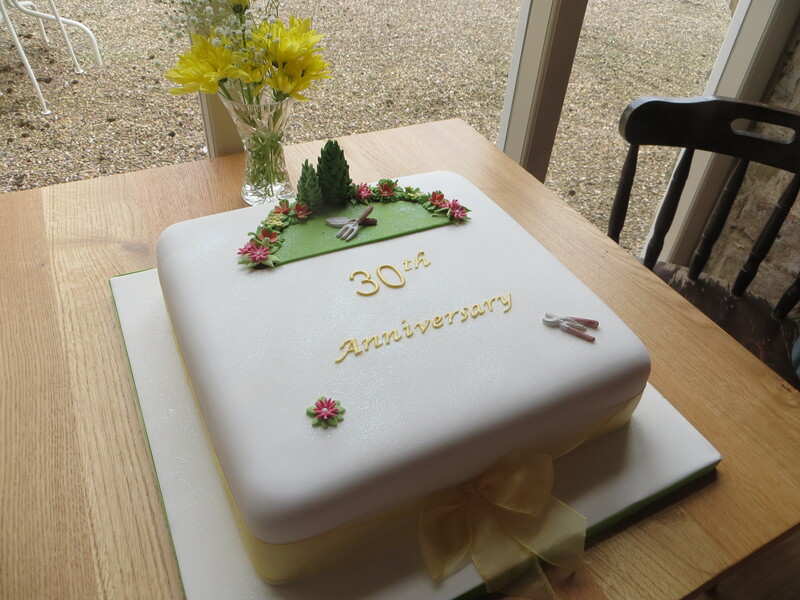 It was celebrated with a visit to Renishaw Hall and Gardens which included a special lunch.